Enjoy working with children? Does the opportunity to participate in a fun work environment while shaping early childhood development interest you? Do you want to work for a company that appreciates and values their employees? If you do, then Mini-Skool is for you. From our competitive salary along with a generous benefit plan, Mini-Skool childcare centres offer a caring and warm work environment that our employees really appreciate. To maintain the health and well-being of our employees, we offer a comprehensive medical and dental plan to all full-time employees including affordable coverage for family members. To ensure that our employees (and their families) have some financial security in the event of an unforeseen accident, incident, permanent impairment or even death, we offer life and accident coverage to assist in those unfortunate situations. In the event of a non-work related injury, full coverage for up to 26 weeks at 66.6% of your regular earnings for all full time employees. Savings plan to allow for our employees to save for their future retirement, regular contributions from both the employee and Mini-Skool are allocated to an RSP. To allow for some relaxation time and to recover from any illness and/or injury, we offer all full time employees paid holiday, vacation and sick leave. To encourage our employees to obtain their E.C.E. (early childhood education), we offer a generous tuition reimbursement program. To fully utilize our childcare learning centres, we realize our most important resource is referrals from our employees. Mini-Skool offers a generous bonus program for all employees who refer a parent to one of our centres. 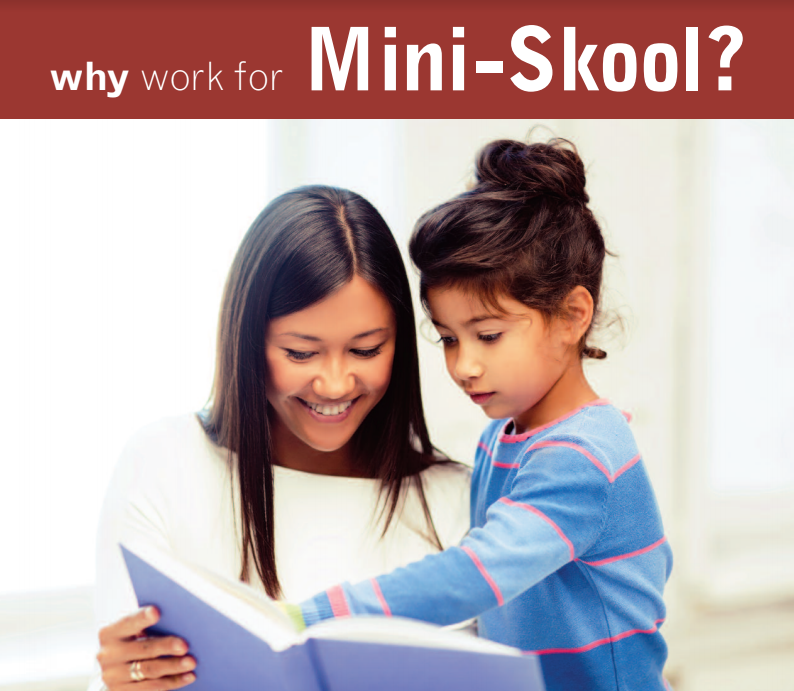 At Mini-Skool, we want your family to be a part of our family. We offer support for young families by providing discounted child care costs for our full time employees. In addition to the above, we also offer gifts and rewards for various employees at all of our childcare facilities for merit awards, “years of service” achievements, and for those who excel in the area of health and safety. Mini-Skool also offers many different volunteer and student placement opportunities. To find out more click here. By joining the Mini-Skool team, you’ll have the opportunity to do something truly worthwhile and rewarding, and to enrich your life and the lives of many children. Please use the form below to apply for a position at Mini-Skool. Be sure to attach your resume as this is required to complete the form. There is a separate box to allow you to upload a cover letter, which is recommended, but not necessary. Also please choose the specific Mini-Skool location that you wish to join. 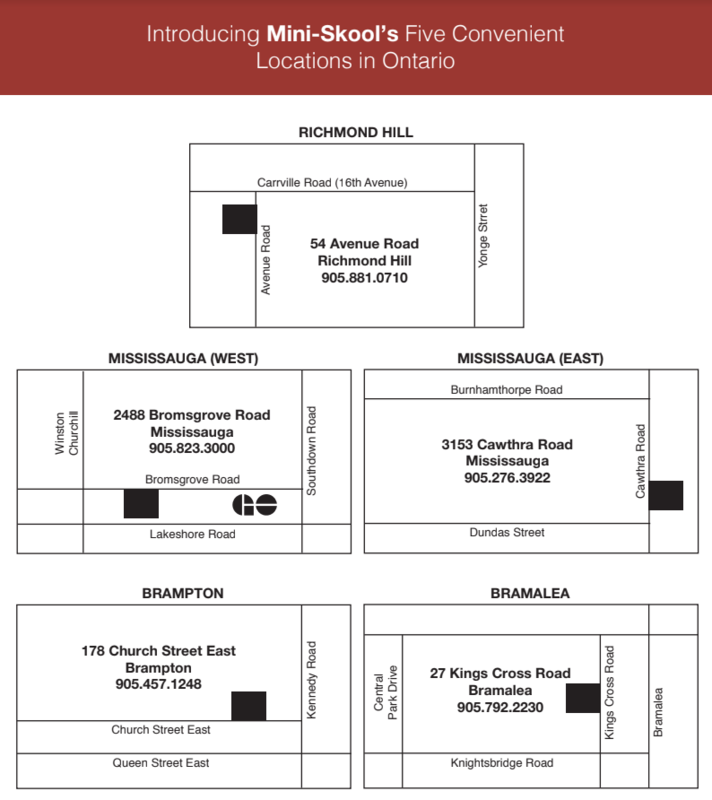 Leave us a note in the box provided if you are interested in more than one location.